428 pages | 11 B/W Illus. Economic development of frontier and remote regions has long been a central theme of development studies. 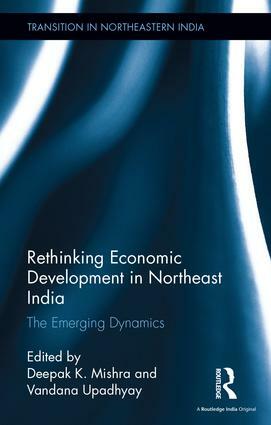 This book examines the development experience in the northeastern region in India in relation to the processes of globalisation and liberalisation of the economy. Bringing together researchers and scholars, from both within and outside the region, the volume offers a comprehensive and updated analysis of governance and development issues in relation to the northeastern economy. With its multidisciplinary approaches, the chapters cover a variety of sectors and concerns such as land, agriculture, industry, infrastructure, finance, human development, human security, trade and policy. This book will be useful to scholars and researchers of economics, public policy, governance and development, geopolitics, geography, development studies, politics and sociology of development and area studies as well as observers and policymakers interested in the Northeast. Deepak K. Mishra is Professor of Economics at the Centre for the Study of Regional Development, School of Social Sciences, Jawaharlal Nehru University, New Delhi, India. Vandana Upadhyay is Professor of Economics at the Department of Economics, School of Social Sciences, Rajiv Gandhi University, Itanagar, Arunachal Pradesh, India.